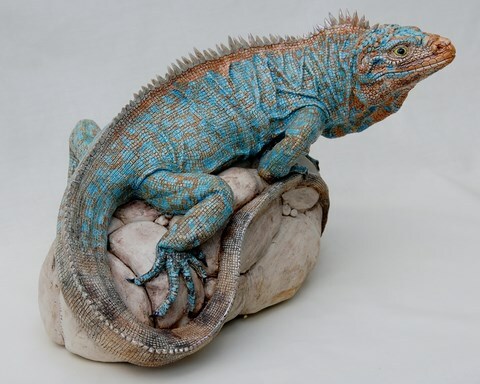 In their natural state and in captivity, the scabs and scars of reptiles, the missing claws and spines and the shedding patches of skin, do not detract from their underlying magnificence. I try to create a strong sense of realism in my sculptures whilst at the same time, enhance their most beautiful and decorative characteristics. The usually life-sized ceramic sculptures, each individually modelled and intricately detailed, are made of high-fired stoneware or porcelain clay, fired in an electric kiln and enhanced by further firings to fix the various glazes, enamels and metallic lustres. Sometimes, more complicated structures are made in parts and assembled using a variety of media. 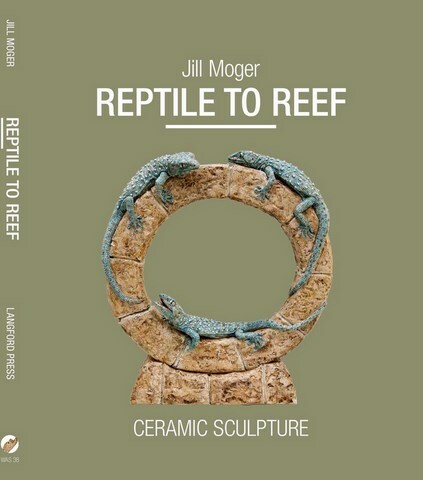 Jill also works on ideas involving insect subjects, using porcelain and wire. 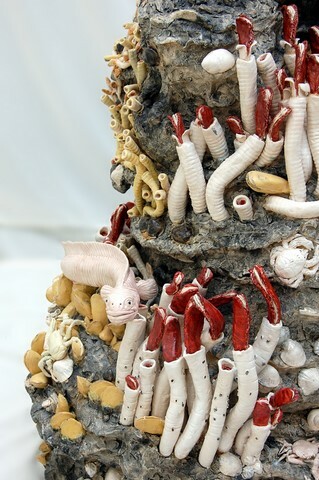 Sea Chimney, stoneware ceramic, 6ft 1in (183cms) high.